Open mics are always the wave for beginners. Everyone likes to get paid for what they do, but sometimes, free gigs can be essential, especially as a beginner. Being open and vulnerable to perform and share your craft and story is one of the best ways to gain fans and experience performing. I spent one year at the University of Maryland over a decade ago, and I'm still known amongst many of my Terp fam for my open mic performances. If you're good, people will remember and check for you. Submit your music to content creators on YouTube. Send your music to be featured on a web series. Have you ever felt like your music would play perfectly behind a scene on TV or in a movie? Well, it doesn't hurt to start off by being featured on a web series. The production companies Black&SexyTV and Issa Rae Productions introduced me to some amazing R&B artists to listen to, such as B.jamelle (who I featured on the site before) and Alex Isley. Some of my artist friends have also been featured on web series, like Asante Amin and Johnny Graham. Lots of times, artists are found by the show's music directors (like Johnny Graham was for Black Boots), but it doesn't hurt to send your music to them. There are other web series doing the same thing, so don't limit yourself to those two. Research, put your best music out there and see what happens. If it's great, someone will reach out. Network with and collaborate with other (music) creatives. It's so easy to be introverted as a creative, but collaborative efforts with other folks that create amazing music can be an amazing opportunity to expand you and your collaborator's fan bases together. But, don't limit yourself to only music creatives. Most creatives in one art form like art from or create art in another, so the intersectionality is real. Consider working with and contributing music to the playlist of an art exhibit's opening, a collaborative arts event, a movie, short film or documentary, or to any other arts-related event. Reach out to up and coming podcasters. Think outside the box with it. Social media and music streaming platforms, especially SoundCloud, are necessary. We're in the digital age, so it's necessary for a creative to have a digital footprint. According to an article published last year by The 405, the best places to find new music (outside of music websites) are on music streaming platforms, especially through playlists on those platforms, and social media networks. SoundCloud is the easiest place for anyone to post their music and for people to find music if you're following the right people (which is why I make my season playlists on that platform) while placing your music on platforms like Spotify and Apple Music can take more time for various reasons. 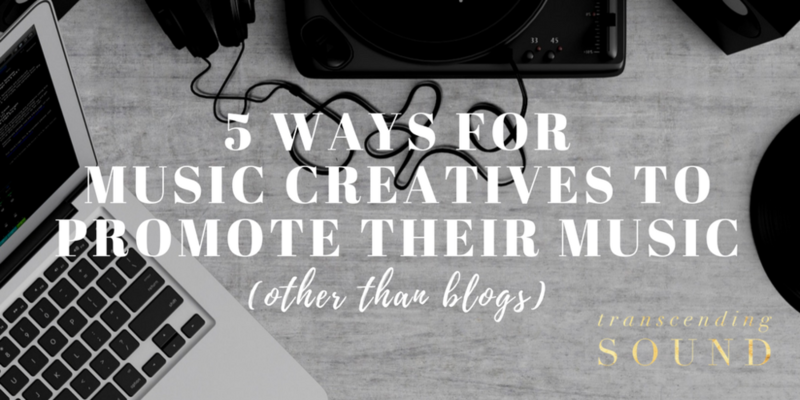 Streamlining your music to your social media account is the best way to share your work. If the music is great, then people will share it. Word of mouth, especially on social media is amazingly powerful, so don't shy from it. Please keep in mind that things may not happen quickly and that you should be strategic in any approach that you make. If you have any other suggestions, feel free to share them below or with me on Twitter at @amirahrashidah.